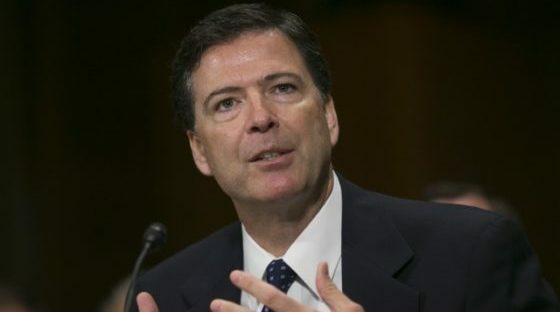 Former FBI director James Comey, who was fired, said during a question and answer session that there is no deep state right before describing the existence of the deep state perfectly. He simply called it a “deep culture” instead. “There is no deep state, but there’s a deep culture and commitment to the rule of law that runs all the way down through not just the Department of Justice and the FBI but the military services and the intelligence community. It would be interesting to see what would happen next,” Comey said. So basically, there is no deep state, but there’s a deep culture that would try desperately to stop Donald Trump from firing Robert Mueller. Thanks for the clarification, Comey. It is absolutely fascinating that Comey described what he just previously said didn’t exist. But we all remember who Comey really is: the deep state puppet who let Hillary Clinton off the hook. Sleep tight, everyone; because James Comey says there’s no deep state. It’s just a deep culture. This article was posted in "rule of law", Conspiracy Fact and Theory, deep culture, Deep State, deep state confirmed, FBI corruption, FBI director, fired, Headline News, hillary clinton, ineffective, James Comey, propaganda, Robert Mueller. Bookmark the permalink. Follow comments with the RSS feed for this post.Comments are closed, but you can leave a trackback: Trackback URL.